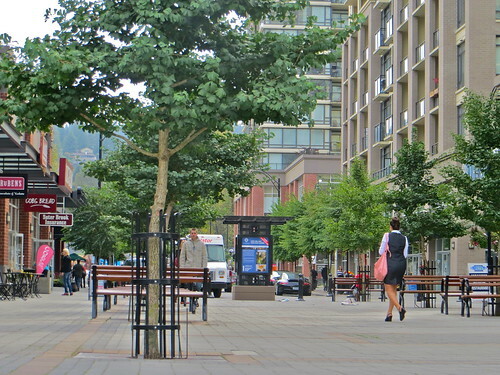 The Inlet Centre neighbourhood is the youngest area of Port Moody, located at the head of Burrard Inlet. It serves as a focal point in helping to link the north and south shores of the community. Port Moody’s City Hall, Public Library, Inlet Theatre, Recreation Complex, and Eagle Ridge Hospital, are all located within the award winning, master-planned, Inlet Centre community. Many annual events are held at the Inlet Theatre and Civic Centre including the Port Moody Canadian Film Festival and the Wearable Art Awards. A winter farmers market is also held every second Sunday at the Recreation Complex. There are always events happening in the “City of the Arts” and many are held in this bustling neighbourhood.